If you’ve bought your own home, you want everything to be perfect; especially the atmosphere. From pendant lights to cosy furnishings at the dining table, adding the softer touches to your interior design can help to create a room with character, atmosphere and a mood. There’s hardly any limits when it comes to decking your home out with an array of textures. In fact, if you’re looking to achieve an informal, cosy setting then steer clear of a regimented list of restricted textures and you’ll find textures that marry well irrespective of their feel or material. Mirrors and glass objects are a good accent to any texture. To create a broody feel, consider rich, dark veneers. For a softer touch, incorporate silk upholstery, velvet floor length curtains and hints of aged brass and copper. Colours can have a great impact on our mood and represent a different feeling. When deciding on the colours you wish to use, you must look at the size of your room. If your kitchen is small, you’ll want the space to be bright and airy so you might opt for predominately lighter shades for the walls or cabinetry. That way cooking need not be a dark and isolating experience. A restricted pale palette also makes for a sleek aesthetic that can be personalised with splashes of colour and will have you staying on trend for 2018. Ideal Home has aptly named this the ‘Unicorn-inspired’ trend featuring pale blues and pinks, personalised with glinting bronze and metal. 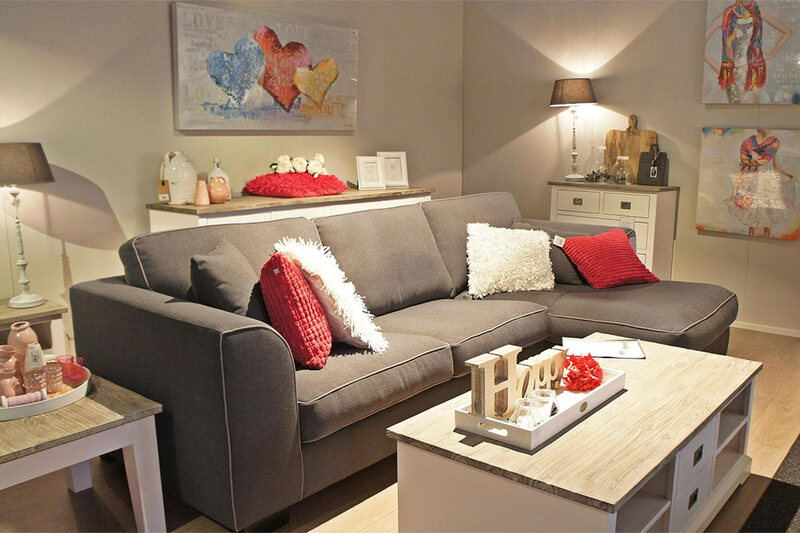 If you have an open-plan living space, these type of room can usually handle a darker tone. Dark blue cabinets, as House Beautiful have predicted, are set to be the most popular colour choice this year for modern kitchens. The second thing you’ll need to consider is the lighting in each room, so, consider where and how natural light may shine. The personal palette will vary from client to client and it is important for kitchen designers and interior designers alike to use their expertise to help their clients make informed choices about colour schemes. The option of hand painted cabinetry allows you to experiment with changing trends, but also gives you an authentic texture on the wood that you simply can’t achieve with spray paint finish. If you like to see how different parts of your home will look once the design has been implemented, why not create a mood board? When pulling together ideas, keep a few questions in mind such as How do I want to use this space? What impact will lighting have on these colours? Or What is the psychology of this colour? The kitchen or living room (usually whichever is the biggest room in the home) is the best place to start as these are likely to be your most centrally located rooms and all other palettes branch off from here. Paint this larger room in a bold colour, and work around the home either complimenting the first shade, contrasting it or matching with a soft, neutral hue. The lighting in your home can have a huge impact on your daily lives. Different rooms around the home require different styles of lighting due to the nature of tasks and activities that go on in each space. Even within a room, it is vital that you use more than one type of lighting if you are to achieve any sort of ambiance. The living room is a prime example of where lighting should be a focus. An area will be dedicated to watching TV and will need ceiling lights, possibly on a dimmer, so that the right light can be achieved throughout the day and when the curtains are drawn. One corner may serve as a dedicated reading spot; if so, then a floor lamp that provides a softer light closer overhead will make a world of difference. Whether you’re using the space to work or to dine, there’s so much you can do with its design. To create the right ambiance in the kitchen, invest in pendant lights – perhaps in varying heights – and with a warm temperature to the bulb. Plinth lighting is also a clever way to add warmth as well as a focal point to the design; this has a particularly striking effect on an island, giving the illusion of ‘floating cabinets’. Whatever way you design your home, it all comes down to personality. Other ways to improve the ambiance in your home include transforming a space with scent and layering different aromas. Changing colours, textures, smells and lighting are all simple, inexpensive ways of changing how a room feels. This article was brought to you by Harvey Jones, handmade kitchen specialists. Lighting moods are always important, great post.